If you’re looking for a way to spice up your winter, Inside Garden City and Capo Ristorante are holding their second annual Super Chili Bowl~ Chili Tasting For Charity on Saturday, February 6th from 1-3pm. Warm up from the inside at Capo on Covert Ave. You can come just to taste lots of yummy chili (and have a drink or two) or you can enter as one of the competitors. Enter as a team or individual. 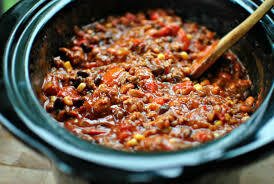 Just bring your chili, fully prepared, in a crockpot to Capo on Covert Ave at 12:45pm. The only cooking rule is that the chili must be homemade. The first place winner will earn a free stay at the beautiful Hotel Indigo on the North Fork! Cool prizes will be also awarded for 2nd and 3rd place. In addition to providing a spicy diversion from the winter blues, we will also be doing some good in the community. Proceeds from this event will be donated to the Hance Family Foundation. Chili entrants will pay $10 to compete. Cost for tasting: $10 or $15 if you want unlimited beer, wine or soda as well. Children are free. If you think you make a good chili, email us at InsideGardenCity@gmail.com or Facebook message InsideGardenCity to enter. Chili, wine and beer, friends and neighbors- what better way to spend a winter afternoon? See you at the Chili Bowl!